Dragons is always an exciting subject to talk about! For this topic the we are learning to; use words related to topics to increase their vocabulary, to understand the difference between non-fiction and fiction and to write words for a variety of purposes using the sounds they know. We read the story of 'The Paper Bag Princess'. The story is about a princess who has her castle and clothes burnt by a fierce dragon. He steals her handsome prince so she needs to rescue him. The princess needs to wear a paper bag and goes off through the forest to defeat the dragon and rescue the prince. We use a story map to order the events of the story and use words and actions to re-tell the story. We ask the question, 'Are dragons real?' Some of the children think that dragons are real and some think they are only in stories. We use reasoning to explain our thoughts. We find a magical book called 'Dragonology' which looks real because it has emeralds on the front and 'real' scales inside. We use the book to find out about dragons. We use our sounds to label the dragon's body parts. 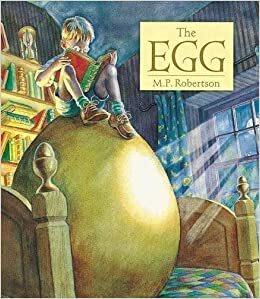 We read the story of 'The Egg'. 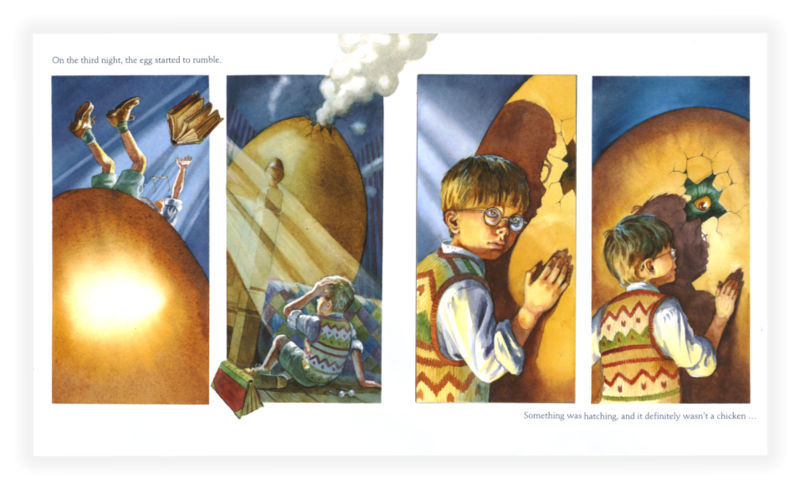 The story is about a boy called George who finds a large dragon egg. He looks after the egg until it hatches. Then he trains the dragon. Ask your child how George trains his dragon? Following this, we come to school a find mysterious eggs which makes us wonder where they have come from. It is very exciting because they might be dragon eggs. It is even more exciting when we find a letter from Dorothy Dragon. Looking after the eggs is very exciting as we we wait for the baby dragons to hatch ready for trainng. We use ideas from how Hiccup trained his dragon to come up with our own. We teach our dragon to fly, eat fish, scare princess, fight knights and breathe fire and we use our knowledge of sounds to write about dragons; what they look like and what they do. Because George rides his dragon to Dragon World, we come up with our own ideas about here we would like to fly to on our dragon and what they could do there. From this, we learn that the place where the story happens is called the setting. We also use the Dragonology book to learn how baby dragons hatch out of their eggs and sequence the events. We do eventually find out that dragons do exist today and watch a clip about a Bearded Dragon and how to take care of them. We compare a fact book about Lizards and Dragons to the Dragonology book. The fact book (non-fiction) has photographs whilst the Dragonology book has pictures like in a story book which helps us to eventually decide that dragons, like in the story books, do not exist because we have not seen a photograph of one. After that, the eggs disappear and Reception receive a thank you letter saying, 'Thank you for looking after my eggs. One egg hatched his name is Frederick!' At the bottom of the letter is a photograph of baby Frederick which is amazing. Dragons must be real...! What do you think? Now we can use words related to topics to increase our vocabulary; understand the difference between non-fiction and fiction and write words for a variety of purposes using the sounds we know.